It might get traffic but his sales page is so spammy I can't even bring myself to read it. I agree with Patrick, after the first paragraph or so I couldn't read anymore. But at least the guy lets us know "he's an expert" and "knows what he's doing". Yeh, he knows what he's doing ... and it stinks. Yes, this is very common. Does it bring sales that otherwise wouldn't convert? I doubt it. Does it sting the brand? Yeah. There's a strong argument for banning this sort of ad. Personally I'd be hopping up and down at the moment if I were in your position. Yes, fair enough 'Michael Edwards' does sing your praises within the article, but the ad. description is potentially libelous. This is a choice one he has keyworded to appear on a 'Aaron Wall' search: 'Don't Buy Into Aaron Wall SEO Book Scams Until You Have Read This!'. Can't see that this does adwords reputation any good. IMHO this sort of seedy stuff should be high on Google's list to stamp out. Many will not read the whole article and will thus think that SEO Book is a scam. It must cause more harm than good. Absolutely agree. It is real harm to a brand. Some time ago I also saw the same ads with another keywords, there were the same pages as this but instead of "SEO Book" another names of popular products were used. I reported the case to Google, but never heard back or saw any changes. I say no harm no foul if it's just an adsense ad. If it happens to bring you more sales, more power to ya. *edit*: I looked at the site in question. English does not appear to be the 1st language of the person who wrote the page. Well, it looks like an inverse psychology campaign. They are common in the advertising world. I am not sure if that harms your brand a little, but I think it achieves the objective: catch the attention! And you have an authority brand, so I doubt your brand be really harmed by this ad type. Actually, I'd be willing to bet the conversion rate on the landing page isn't bad. However, I agree with most of the comments that associating your brand with the word scam results in some dilution of the brand as it calls your reputation into question. Just because the affiliate makes it pretty clear that is just a hook, it's a painful one. >"XY secrets exposed", "the truth behind XY"
I don't see any problem with the above hooks though to be blunt. None of the imply that the brand is a fake, scam, hoax or spam, instead they are a call to action to check it out. Those hooks should not damage a brand, but saying "Brand is a scam...." does. In making an affiliate agreement, if your going to let them bid on your brand, don't let them make disparaging statements in their ad copy I guess is the moral of the story. I would amend your agreements and try to take some kind of action Aaron. A lot of people may read the title, but not the article. I don't think it's something you should allow. That affiliate is just plain weird. Who do you use for affiliate management? Can you lock out them out. But online reviews, which is what this is "claiming" to be are part of our world. Maybe you can get the affiliate to make the tag line "A Truly Objective Review of SEO Book" Can I get your email address, I have other ideas and a private issue. If anything, this affiliate technique is just a great indicator of the power and reach of your brand. You haven't really arrived until outside entities start bashing you, even if they are trying to backdoor affiliate signups. I find it ironic that I've never heard of sparky before, but yet he has the gall to post that. But it kind of reminds me of an earlier email with you Aaron about the not-seo series I'm starting, but the only difference is, I do it free, and as a teaching lesson. I would gently tell him that isn't particularly nice and if he doesn't listen, I would be a little more direct in my actions. I wonder what his Google Quality Score is and how much hes paying for the number 2 ranking. But I guess you should just trust the Google Algorithm to figure it out. What about the tactic of blogging about a competing Google PPC ad. I'm sure this guy just got a bunch of clicks from people with no intent of buying at all. Not that I agree with what he'd doing, I’m just saying. Then I just drove up my own ad costs by making his ad appear more relevant than mine. I'd make him change the title to "Is SEO Book A Scam?" in question form. Having the title straight out say it IS a scam feels like too much to me. Just my two cents. Blame the Day Job Killer ebook, telling every noob to use 'Is Product X a Scam' as a surefire way to flog ebooks. This blog comment is a scam. It seems clear to me that saying SEO Book is a scam is a good way to spread negative ideas and opinions about SEO book. I think this is a great question. I'd like to know from you, Aaron... Does this affiliate sell a lot of your product? I think you'd be the ideal test of if it works. I would not share that sort of data without talking to him first. I just posted this topic for debate because I thought that it was interesting, and am guessing that it is going to be a growing trend. I don't think there's a rule here that applies across the board; it just depends on too many factors. However one thing that does universally apply is the concept of good affiliate management, and keeping an ongoing dialog/ communication with affiliates. One could allow this practice for a select few publishers on a limited trail basis, under the condition that if coversions aren't deemed to justify the potential 'ouch' on the brand, the method gets nixed. The awesome thing about terms and conditions, too, is that they can be changed. Some merchants will want to decide on the question you pose up front where experimenting might be too risky. Others, like SEO Book, (IMO) have a current brand strength that allows for such experimentation. Unless it's entirely damaging, I say stick to tracking and tweaking. Would I allow it? Under my circumstances, absolutely not. My brand is too young. If I had affiliates, I'd make sure that they described my products *accurately*. It's an ethics thing for me. If I thought my book was a scam, I'd allow it, but if I didn't I wouldn't; regardless of whether it 'hooked in' skeptics. Generally, it works like a charm. At least it has for the last couple of years, which is a reminder that a lot of tactics end up not working when everyone does them. Sorry Aaron, but I bet you can check that guy's stats to see how well he's doing. That's a common tactic, Aaron. I read about it in a book called Affiliate ProjectX (by someone). It's just a question of your own choice if to allow it or not. I bet this affiliate is making some sales... But Mike Filsame would be also making lots of sales, however I wouldn't want to be promoted by a guy like him. You are a brand and many people value you because they distinguish SEOBook by the usual internet marketing hype. So this promotion probably isn't good for a brand like yours. That was where a few of my local friends and my wife were on the issue too Bobby. I actually read all the Adwords editorial guidelines once, and if you have copy rights to the term SEO Book, then you have a case against him... And you can get him to stop using it. Not too sure how that works since he's selling your product. 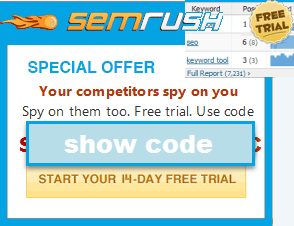 I see the word SCAM used on alot of affiliate products for Adwords. There is also something in the Adwords Policy editorial guidelines that if you make a statement like "This Is The Best Shoe Ever" or "SEO Book is a Scam" then you have to back it up with a Third Party vouching for you on your on page content. At least that is how I understand it. I don't think it gets enforced unless you tell Google --- I don't think there is anything in their Math to stop it. Here is my blog post from a similar situation today altough the Adwords ad doesn't call the company a SCAMMER. What happened to thin affiliates getting priced out? I thought thin affiliates were going to be priced out? That guy is terrible, and his "review" has awful grammar. If I were you Aaron, I'd work with some of your reliable affiliates and just set up a group strategy whereby they rotate bids and such to make the same money for the same costs and knock this guy's "review" out of the SERPs. Price him out, you know? Get some real reviews up and then see if he can keep up. But there is one aspect you have to look at. If you are 1 of 10 links on a page praising a product then there is only so much you can stand out by praising the product. But if everyone else praises it and you are the only negative link you get a high click through rate. It would probably be worth it to keep affiliates off your branded keywords. Sure, it keeps the competition out but across the 30ish PPC clients we have, their branded terms have 10-20x better cost per conversion than their non-branded. Just have your own ad in there and bid high just to keep that CTR boost for having the top spot in google for both organic (when google isn't messing w/ you) and paid. I'm sure you've run tests (and if you did, plz share because we'd love to know even vague results) but what you might give up in people searching for your brand but then getting distracted by a competitor, you almost definitely lose in affiliates leeching profits off your own branding efforts. Hi All here's another e.g. of 'Michael Edward's' work. SEO Elite Review Recognize the flavour? I know I often search for "exampleproduct scam", when I am researching something online. I would guess that a lot of people would make similar searches. I have used this tactic in the past with moderate success. But I only bid on the brand name + scam (and variations). My theory is that people make these types of searches right before they are going to buy so that they have piece of mind that they won't get ripped off. I think bidding for people looking for negativity and trying to monetize that is probably a good bit cleaner than just bidding on the core brand and calling it a scam. Did you append your FAQ's for affiliates as a result of the negative hook to sell a product because of this guy? Can I Use An Attack Hook to Gain Attention? While I do not mind affiliates bidding on my brand name and personal name it does not make sense for me to pay people to trash my brand. This topic is very timely even though the string was started some time ago. The reality is that affiliate marketers are looking for clicks and negative titles seem to generate that traffic. When you click through many of these ads, you'll find that the landing page isn't all that negative. Rather, its often an affiliate that recommends the program being advertised. I do agree that using such titles is bordering on illegal but I guess where money is to be made, you'll find people stretching the boundaries.